Not far from Hanoi, Hoa Binh is one of the tourist destinations favored by many young people by the scenery of pristine and poetic natural forests. Hoa Binh is a province located in northwest Vietnam, about 60km from Hanoi, adjacent to Phu Tho, Ha Nam, Ninh Binh, Son La, and Thanh Hoa provinces. 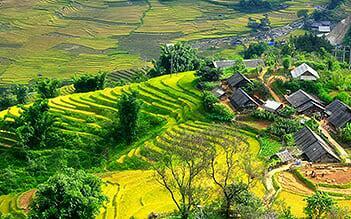 This land is considered the cradle of Muong culture with countless unexplored things. Its mountainous terrain coinciding with the cave of Bo waterfall, Ret cave, Hoa Tien cave, and Pu Nooc primeval rainforest opens up adventure routes for climbing, walking, hunting, and stream bathing. Human and nature have created Hoa Binh a poetic lake area for the Da river to develop tourism in the lake and lakeside area with full of bays, islands, and peninsulas in which rare, precious flora and fauna are preserved. 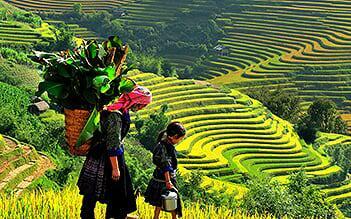 The Muong, Dao and Tay villages scattered along lakes and valleys create a charming picture of life and nature. 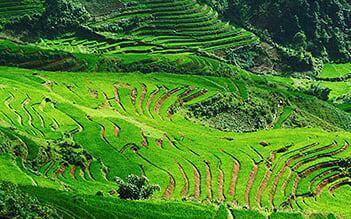 Hoa Binh is also a province with a lot of hot mineral water springs and mysterious pristine valleys. The natural caves have diverse shapes such as Phu Bua peak in clouds in four seasons. There are Nanh and Nua villages of Muong, Dao and some Thai families with ancient stilt houses.